Welcome to Hotel Lido Palace Riva del Garda. This property is 6 minutes walk from the beach. Offering a state-of-the-art 1,500 m² wellness and spa centre with indoor and outdoor pools, the 5-star Hotel Lido Palace is in Riva Del Garda, right next to Lake Garda. Set in a Belle Epoque building from the early 20th-century, all rooms at Lido Palace come with high design black and grey décor, along with and a wall-mounted 42" LCD TV. You also have free Wi-Fi, an extra-large bed and a modern bathroom with underfloor heating and exclusive toiletry set. The only luxury 5-star hotel in the Trentino region, the Lido Palace features a wellness and spa centre complete with a sauna, Turkish bath and a fully equipped fitness centre. The main restaurant has a Michelin-awarded chef and serves traditional Mediterranean cuisine. Another, more intimate one, offers à la carte menus based on fish specialities. Offering free parking, the hotel is a 15-minute drive from the A22 motorway. Trento can be reached by car in 40 minutes. 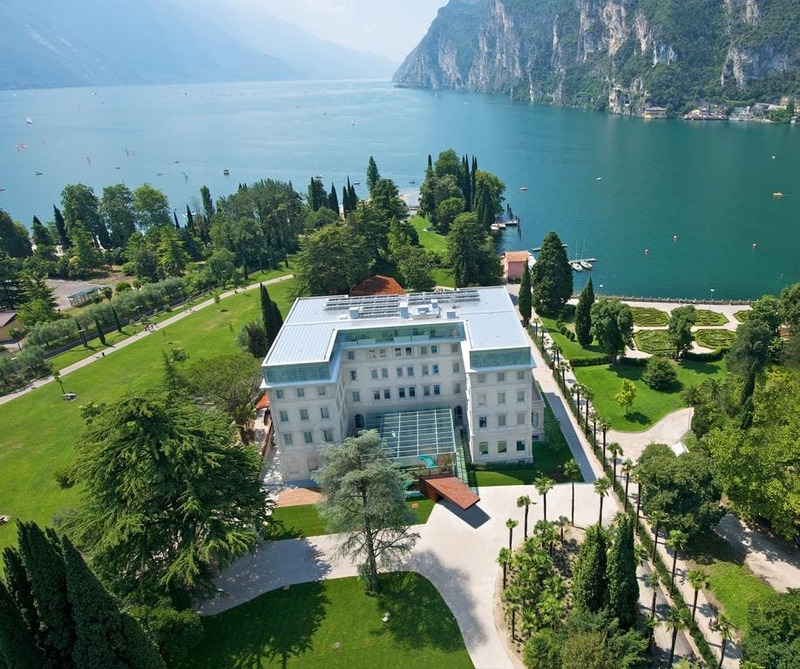 (Hotel Lido Palace Riva del Garda hotels).